Wikipedia has been around for years and it is the largest encyclopedia in human history. Yet, I still often hear teachers say that they don't allow students to use Wikipedia for research. Interestingly enough, students also believe that Wikipedia is not a reliable resource because their teachers and parents are telling them that its not. I recently took an online poll in my 5th, 6th, and 7th grade classes using Socrative and I found that more than 75% of all of my students feel that Wikipedia is NOT a reliable resource. Without bias, I asked them to answer true or false to the following statement, "Wikipedia is a reliable resource". Some classes only had one student agree, and most all of my classes only had a few that agreed. I find this data very interesting, because I personally feel that Wikipedia articles not only have factual and reliable information, without bias, but they also have lots of primary sources that are cited at the bottom of each article. Students can either use the information that is provided in the article (used from those primary sources) or they can simply explore the primary resources that are listed at the bottom of each article for further research. The reason why some teachers and parents don't want their students to use Wikipedia to look up information is due to a lack of understanding of how Wikipedia works. 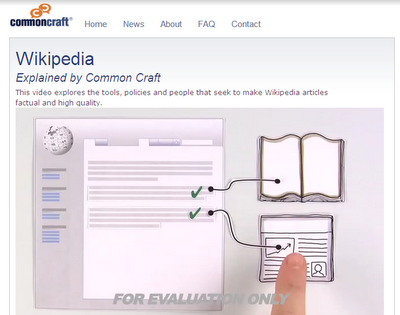 The Common Craft video below does a great job of explaining what Wikipedia is, how it works, and why it's a reliable resource. Below is an example of a Wikipedia article on Albert Einstein. 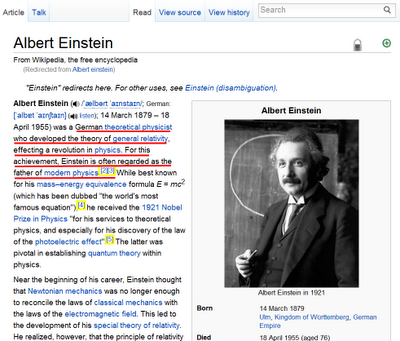 Notice how the information that is underlined is factual and reliable information that is pulled from a primary source. The references (primary sources) are cited down at the bottom of the article in numerical order. Whether or not you use Wikipedia, or whether or not you let your students use Wikipedia, is ultimately your choice. 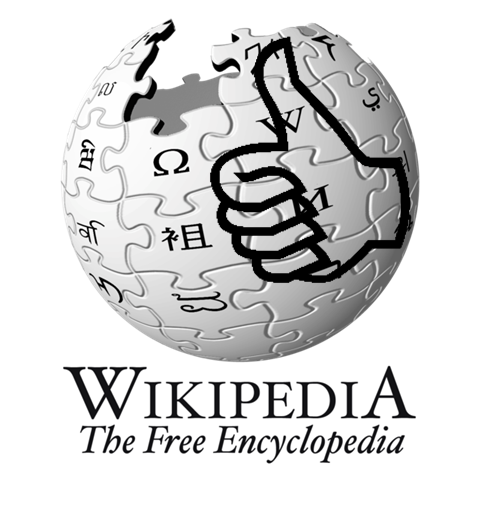 The purpose of this blog post is to give you factual information about Wikipedia to let you make an educated decision. 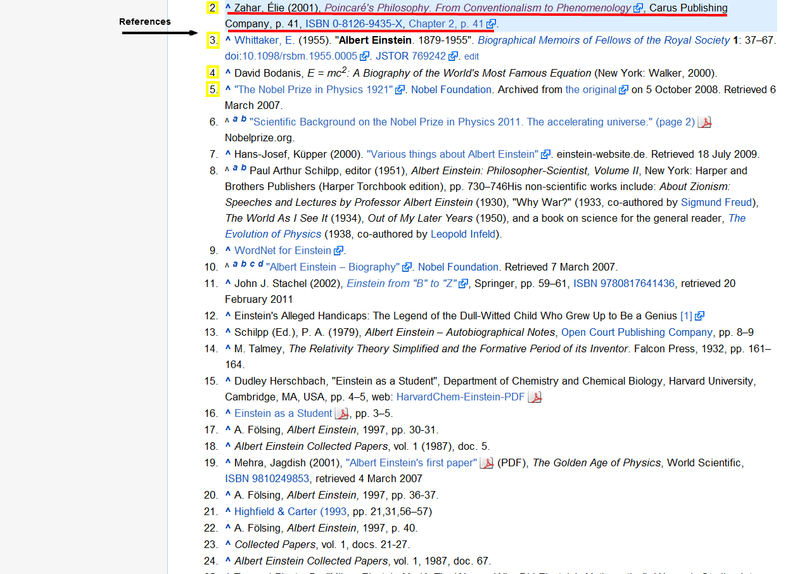 Do you use Wikipedia with your students? Why or why not? 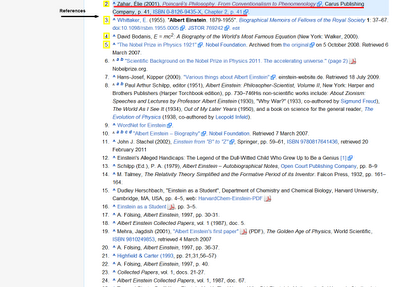 If you do not use Wikipedia with your students, what supporting evidence do you have against Wikipedia? Why Do I Have to Memorize This When I Can Just Google It?